The Brunswick Bionic Wrist Positioner XF offers several wrist cup and lateral positions to best suit your game. The extended index finger provides additional rotation potential. 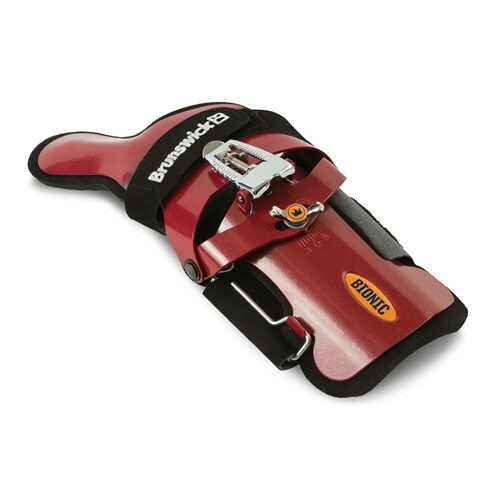 This positioner is is made of durable aluminum materials that make it lightweight and comfortable. Hello. The picture advertised is for right hand, but this model is definitely a left handed model. Although the picture is a right handed picture, this model will be a left handed one. Due to the time it takes to produce the Brunswick Bionic XF Wrist Positioner Left Hand ball it will ship in immediately. We cannot ship this ball outside the United States.